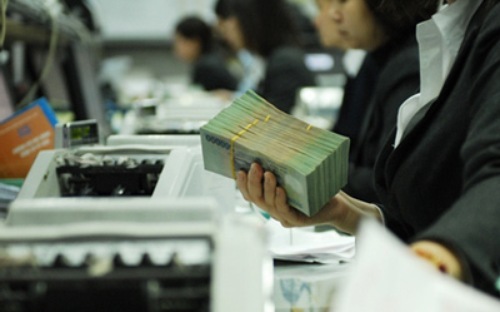 DA NANG (VNS) — The central city's people's committee of Da Nang has decided to offer preferential loans at 7.5 per cent interest to businesses for a one year period. Following the decision, only profitable or audited businesses and enterprises without bad debts with any bank in the city are eligible to avail the loan of VND120 billion (US$5.7 million) from the city's budget and the Investment and Development Fund. It means that each eligible business will be offered a maximum loan of VND5 billion ($238,000) once, with strict regulations from this year. However, the loan will be provided to businesses involved in the stable price programme in the city. Loss-making enterprises employing a large workforce will get the loan if they propose their effective production plan or provide confirmation of their tax returns and debt payments in the previous years. The city also increased the budget contribution to the Credit Guarantee Fund from VND30 billion ($1.43 million) to VND50 billion ($2.38 million). Vice Chairman and General Secretary of the city's Small-and Medium-sized Enterprises Association, Nguyen Van Ly, stated that businesses will have more opportunities to get loans from the Credit Guarantee Fund and the Investment and Development Fund. "We propose loans with low interest rates, ranging between 9 and 13 per cent, for small- and medium-sized enterprises, under the city's guarantee and the association, but they (businesses) have to negotiate with the banks for the eligible rates of interest," Ly said. Last year, the city implemented the Credit Guarantee Fund worth over VND100 billion ($4.8 million), of which 30 per cent will come from the city's budget and 70 per cent from banks and large firms. Over 1,200 enterprises, or 10 per cent of the total businesses in Da Nang, were dissolved or closed due to poor operations and loan deficits last year.